As many had expected, Nintendo’s latest game The Legend of Zelda: Breath of the Wild has turned out to be a fantastic entry in the series, and one of the best open-world video games we have seen in recent times. Despite the game’s quality, though, Nintendo’s Zelda wasn’t the top-selling video game in the UK for the week ending on March 4. 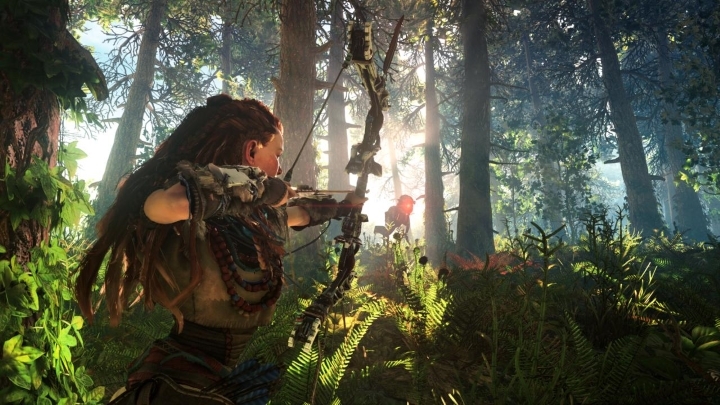 No, that honour fell to Horizon: Zero Dawn, a very different open-world video game set in a post-apocalyptic future world which came out recently for Sony’s PS4 console. But no matter how you look at it, the fact that Zelda has taken second place in this UK chart from market research company GFX Chart-Track is still impressive, taking into account that most of these sales were for the Nintendo Switch version of the game, a console that debuted only a couple of days ago (the game is also available for the Wii U). Also a top-seller during the week was GTA V, which makes an appearance at number 3. Rockstar’s game has been hanging in there for a while, and is now one of the best-selling video games of all time, surely thanks to the success of its addictive GTA Online multiplayer component which has become wildly popular with gamers in the last couple of years. Of course, other traditionally top-selling games like FIFA are still going strong, with the latest iteration of the European football series coming in at number 6, while last year’s military shooter hit Battlefield 1 made the chart at number 10, proving gamers are still interested in DICE’s WWI action game, which will be getting an expansion this March. Next: Could The Legend of Zelda: Breath of the Wild be the Nintendo Switch’s killer app?